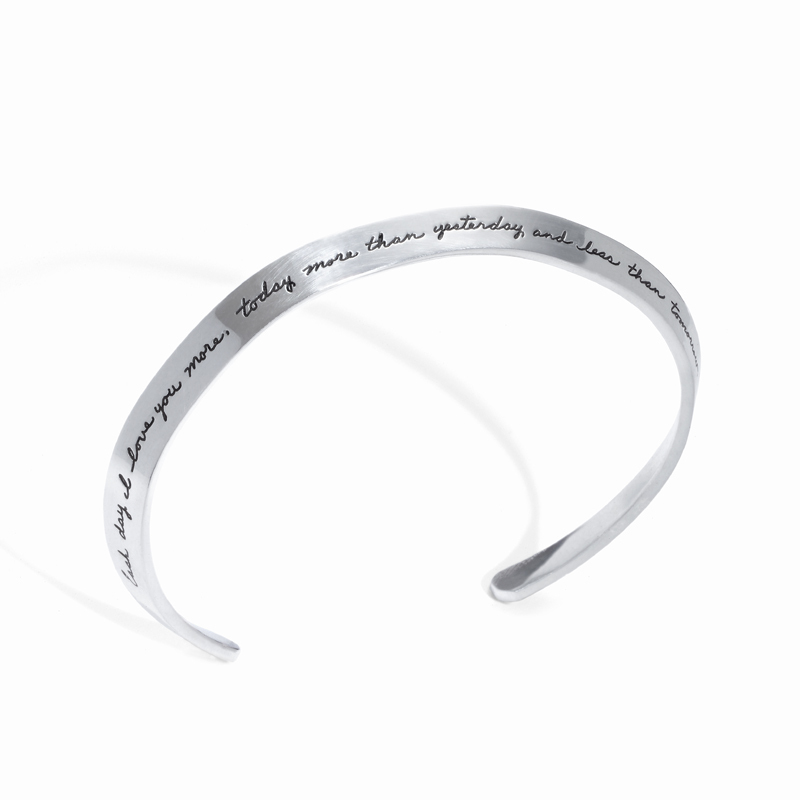 This anniversary give your love a keepsake sterling silver bracelet engraved with a line from one of the most romantic love poems of all time, Lorsque tu seras vieux (When you are old). Rosemond Gerard penned the poem for her husband in 1889. The classic French poem celebrates all the “exquisite little nothings” that made the couple’s marriage special. From the passion of youth to the steady, warm contentment of their white-haired years, their love (like yours) grew stronger every day. The sentiment is so special it’s no wonder people want to carry it with them. An artist first inscribed the original French lines on a piece of jewelry in the early 1900s. We continue the tradition today with this elegant sterling silver collar bracelet. Its unique shape and delicate script engraving will catch your special someone’s eye often. Every time she looks at it, she will think of you and the million little moments that make your journey memorable.